There can be little doubt that the relocation of the 19 igbo destitutes from Lagos state a few months ago was a lawful exercise and that it was done in the interest of Lagos state. Consequently I do not believe that Governor Babatunde Raji Fashola ought to have tendered any form of apology whatsoever to the igbo for what he did. 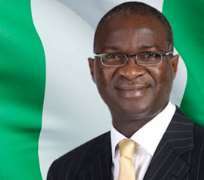 The only redeeming factor is the fact that the apology was obviously designed simply to calm frayed nerves and I commend Fashola for that gesture if nothing else. I say this because my understanding is that he apologised NOT for the deportation itself but for ''the misunderstanding that arose from it''. There is a world of difference between the two. I also commend him for admonishing the igbo to develop their own region and to decide whether they are ''igbo before they are Nigerians or Nigerians before they are igbo''. This is a fundamental question that I believe that we must all determine in our hearts and minds whether we are of igbo, yoruba, hausa/fulani or ijaw stock or anything else. For the purposes of clarification the debate that has been raging in the land for the last two months, though sparked off by Fashola's relocations, was more about the curious claim that Lagos state was ''no man's land'' which the igbo jointly own with the yoruba and which they had developed, and are indeed still developing, with their money and nothing else. It was that assertion, and not the plight of a handful of igbo destitues, that many of us from west of the River Niger took issue with. Fashola and others have said publiclly that it is ''absurd'' and ''insulting'' for anyone to call Lagos state ''no-man's land'' and that is good enough for me. As long as he did not apologise for saying that I have no problem with whatever he may or may not have said about the deportations even though, had I been governor, I would have handled it differently. The truth is that the yoruba way is to apologise not only when you are wrong but also when you are right if you believe that the other party has been badly hurt by your actions. It is a generous and kind disposition which is borne out of the yoruba concept of the ''omoluwabi spirit''- a good heart and a clean spirit that desires, above all else, peace, joy and harmony. Yet to those from outside yorubaland that do not share that disposition, that do not understand that spirit and that cannot even begin to comprehend it, an apology is nothing less than an admission of guilt and wrong- doing and a trophy of triumph to those whom it is offered. It is for this reason that I believe that it was wrong for Fashola to apologise and that it is important for us to consider the long term implications of what he has done. The truth is that in life perception counts for everything. And rightly or wrongly the perception that most people have, particularly amongst the igbo, is that Fashola has indeed apologised for the deportations. This perception is supported by misleading newspaper headlines which were drafted and written by journalists who did not bother to read the text or properly decipher the statement. Whether anyone likes it or not this latest development is viewed as a great triumph for the hardline igbo nationalists and the Governor Peter Obi's of this world who honestly believe that the igbo have some kind of special rights or special status in Lagos and indeed in yorubaland. They say and do things in Lagos and other parts of the west that they dare not do in the north and that they will never allow our people to do in the east.This is because they fear the northerners who have often put them in their place when they cross the line but they have nothing but contempt for us. Fashola has now given those within the igbo community that have this mindset far more legitimacy, strength and confidence. In any case now that dishing out apologies is the order of the day and he has set the precedent, the question has to be asked- will Peter Obi take a cue from that, be a gentleman and apologise for deporting the people of Akwa Ibom from his Anambra state as well? Is Obi that reasonable or charitable? Do those that think like him believe trhat what is good for the goose is good for the gander? I doubt it very much. Again will Fashola apologise to the numerous northerners that he deported from Lagos as well and will he apologise to his yoruba kith and kin from Oyo and Osun for deporting them too? I really do wonder how far this new-found large-heartedness and seasonal expression of regrets will go? Will it be spread everywhere or is it exclusively reserved for the igbo? More importantly, in the spirit of this new rapprochement, will Fashola secretly conceede portions of Lagos state and yorubaland to them as well? Will he take my dear egbon and former cabinet colleague, Senator Adeseye Ogunlewe's counsel, and wholeheartedly accept the interesting notion that the igbo have ''married all our daughters'' in idungaran and isale-eko and that we should therefore give all our land and territory to them? Will he give up the patrimony of his people all in the name of trying to appease the igbo and get their votes for the APC in the upcoming governorship election in Anambra state? If that is the plan I doubt that it will work because they are a pretty unforgiving lot. The more you give the more they will ask for and at the end of the day you will end up losing far more than you gain. Governor Chris Ngige, who is an amiable gentleman and one of the most decent, accomodating, liberal, detribalised and civilised people that I know from the east, will gain nothing from this and sadly the person that will gain from it will be the hardline, igbocentric Peter Obi and his APGA candidate in november's gubernatorial election in Anambra state. People like Fashola need to undersatand that sometimes in trying to play the generous statesman and the kind-hearted omoluwabi we end up being taken for granted and making fools of ourselves. You only apologise to those who will appreciate it, who do not necessarily see it as an admission of guilt and who will not misconstrue it as weakness. This is because the display of weakness by any leader, no matter how well-liked, only attracts impudence and aggression from those who have a hidden agenda. A word is enough for the wise. If I were Governor of Lagos state I would never have apologised for the execution of a legitimate and lawful exercise which was absolutely necessary and which was done in the interests of my state and my people, no matter how many cows I had been offered or given by the kinsmen of those affected. What Fashola has done, albeit inadvertently, is to betray those amongst his yoruba kith and kin that stood by him and defended him when he took that historic and controversial decision to deport the igbo destitutes. He has also fuelled the erroneous impression that is held by most of the igbo that the yoruba people and their leaders are bumbling and inconsistent cowards that cannot stand firm when put under pressure and when faced with threats and hardship. This is sad and unfortunate because that is not who or what we are. Though we cherish and often manifest the omoluwabi spirit, the yoruba are also a lion-hearted people- we are slow to anger but irresistable in battle. We are as constant as the northern star even though we are accomodating and generous. I have immense respect for Fashola and I happen to have a spoft spot for him but I believe that his behaviour is a clear u-turn and that it represents a double standard, a capitulation of values and a revocation of principle. You don't apologise for government policy just to appease a certain group of people no matter how bellicose, violent, loud and aggressive they may be. It is better to lose a million elections outside yorubaland than to conceed even one inch of yoruba territory to those that seek to lay claim to that which is not theirs. A word is enough for the wise.